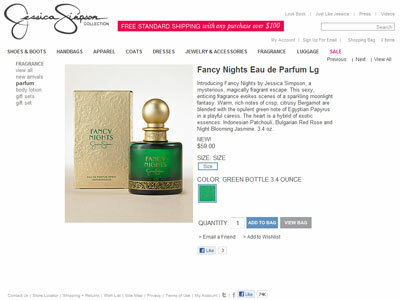 Fancy Nights by Jessica Simpson, is the singer's third celebrity fragrance in the Fancy line, launched Summer 2010 by Parlux. 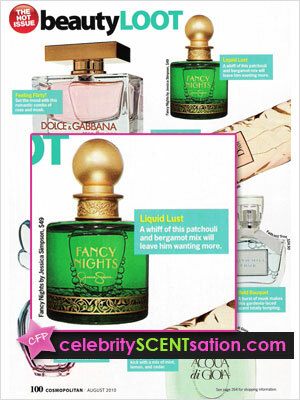 Available in 50ml EDP. This fragrance is "more provocative... a more romantic side of my personality," says Jessica Simpson. Spiked with musks, spices, and sensual oils, these aromas radiate sexiness. Spritz one on and you will too. A whiff of this patchouli and bergamot mix will leave him wanting more. 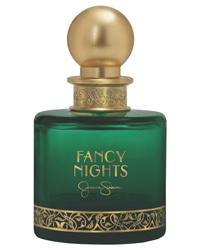 Fancy Nights by Jessica Simpson, $49.